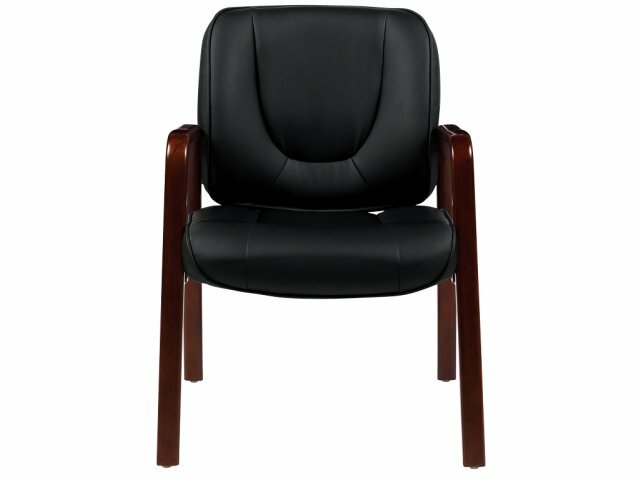 Enhance your office or reception area with these classic guest chairs from Offices to Go. 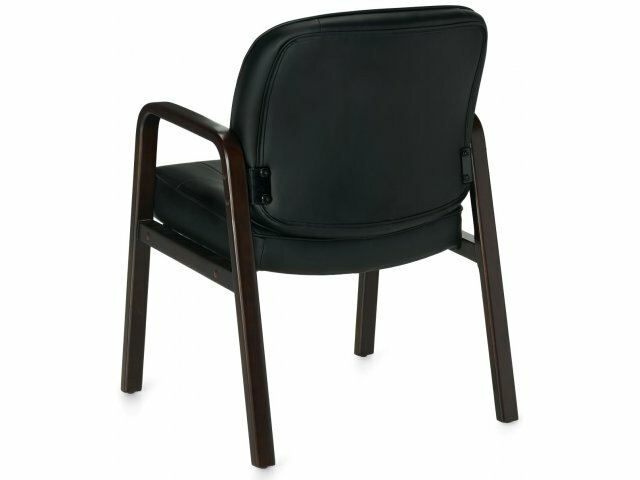 These Luxhide Guest Chairs with Wood Accents let your guests enjoy the feel of leather with the smooth touch of wood. 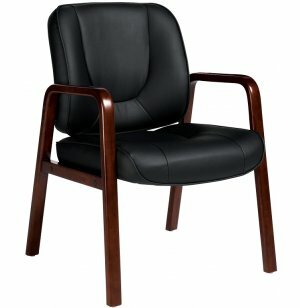 The soft, black upholstery makes waiting time a pleasure, while the wood accents add a touch of class and elegance. 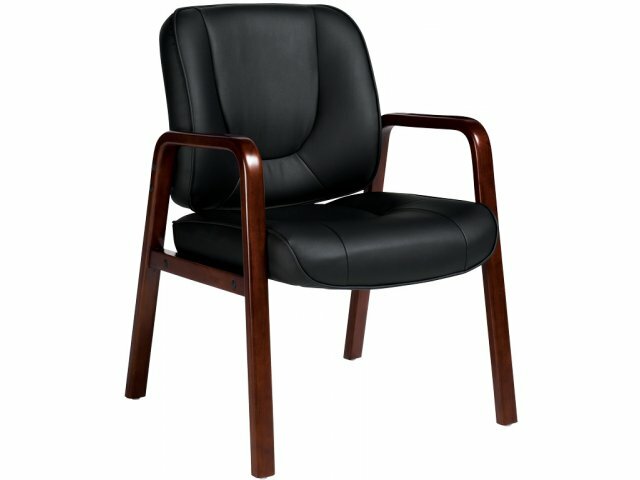 Highly Aesthetic: Combination of soft, black upholstery and wood accents add class and ambience to any office or waiting area. 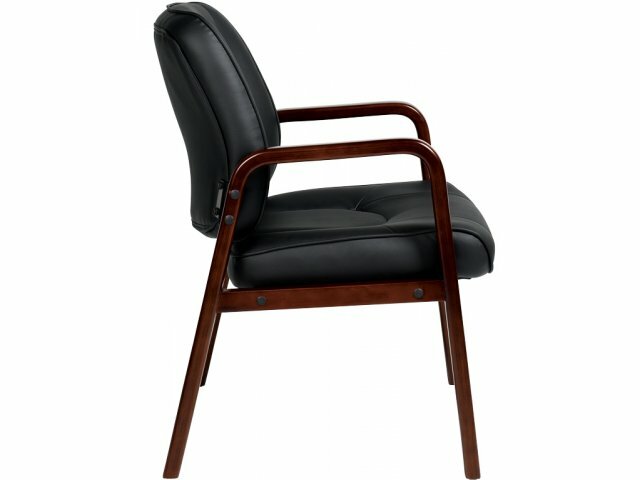 Leather Feel: Luxhide upholstery offers the look and feel of leather without the heavy price tag.